Read the first chapter of No One Ever Asked. Challenging perceptions of discrimination and prejudice, this emotionally resonant drama for readers of Lisa Wingate and Jodi Picoult explores three different women navigating challenges in a changing school district--and in their lives. When an impoverished school district loses its accreditation and the affluent community of Crystal Ridge has no choice but to open their school doors, the lives of three very different women converge. Camille Gray--the wife of an executive, mother of three, long-standing PTA chairwoman and champion fundraiser--faced with a shocking discovery that threatens to tear her picture-perfect world apart at the seams. Jen Covington, the career nurse whose long, painful journey to motherhood finally resulted in adoption but she is struggling with a happily-ever-after so much harder than she anticipated. Twenty-two-year-old Anaya Jones--the first woman in her family to graduate college and a brand new teacher at Crystal Ridge's top elementary school, unprepared for the powder-keg situation she's stepped into. Tensions rise within and without, culminating in an unforeseen event that impacts them all. This story explores the implicit biases impacting American society, and asks the ultimate question: What does it mean to be human? Why are we so quick to put labels on each other and categorize people as "this" or "that", when such complexity exists in each person? NO ONE EVER ASKED Pre-Order! An Advanced Reader Copy before release date! 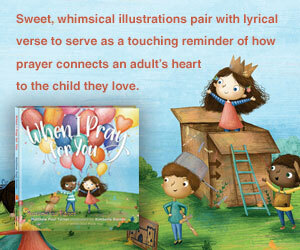 Buy a copy and redeem the offer here! 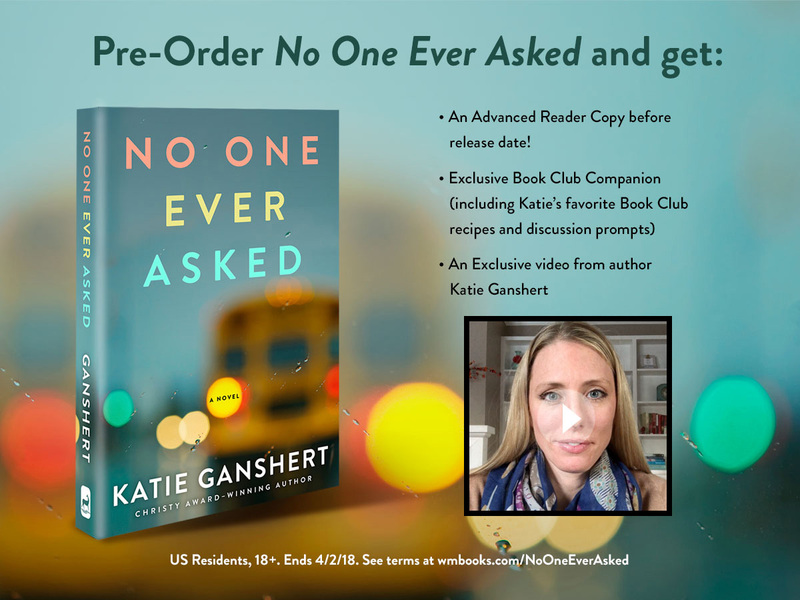 Katie Ganshert has received Publishers Weekly’s highest praise with a starred review for her upcoming contemporary fiction, No One Ever Asked, releasing April 3, 2018. “Ganshert (Life After) probes questions of class, race, and faith in this riveting novel of a forced school merger. Her nuanced exploration of racial issues, generational bigotry, and sexual harassment bring to life complex characters who challenge each other and the reader to open their minds and consider the value of truth and grace. Katie Ganshert, award-winning author of Life After and several additional acclaimed novels, brings to light the realities of modern-day segregation and the racial injustice affecting American society in her most powerful and moving novel yet, No One Ever Asked (April 3, 2018, WaterBrook). After adopting her daughter from the DR Congo, Ganshert began a journey that opened her eyes to the injustice that surrounds us all. She began tuning into a variety of black voices and stories, including a podcast sharing a modern-day integration story that inspired her latest novel—This American Life’s episode titled “The Problem We All Live With” by Nikole Hannah-Jones. Echoing real-world events, No One Ever Asked is a riveting tale about the way we see one another, the lies we tell, and the tragedies that result from our blindness. It draws readers into a story of three starkly different women whose lives collide when an impoverished school district loses its accreditation and the affluent community of Crystal Ridge has no choice but to open their school doors. Told from the perspectives of each of the women, the reader is given a raw, behind-the-scenes look at their unique experiences as the separate student bodies and the surrounding community clash over the integration. Without villainizing any one person or community, Ganshert reveals real, flawed characters, all with implicit biases and prejudices. For readers of Jodi Picoult and Liane Moriarty, and chosen as one of Publishers Weekly’s Top 10 religion titles for spring 2018, No One Ever Asked is a must-read for book clubs and contemporary fiction readers. Readers who enjoy books that deal with social issues will be especially captivated by Ganshert’s eye-opening exploration of race in modern-day America. KATIE GANSHERT is the award-winning author of Life After, multiple short stories and several additional acclaimed novels, including the Christy Award-winning A Broken Kind of Beautiful and Carol Award-winner, The Art of Losing Yourself. Katie lives in eastern Iowa with her family. For more information, visit www.katieganshert.com.